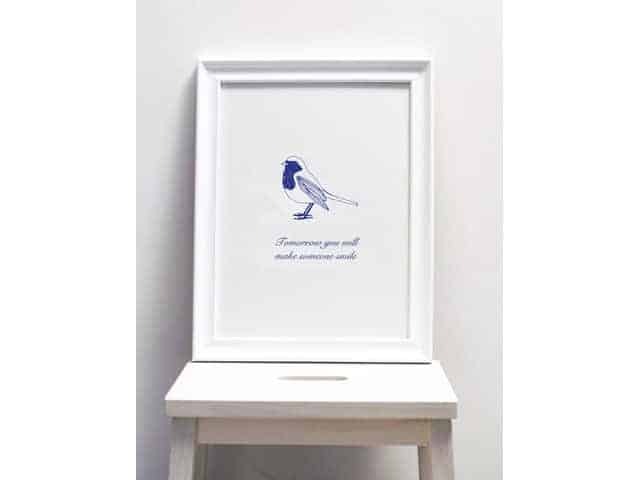 This illustrative bird print by Karin Akesson would add a striking piece to any decor theme. 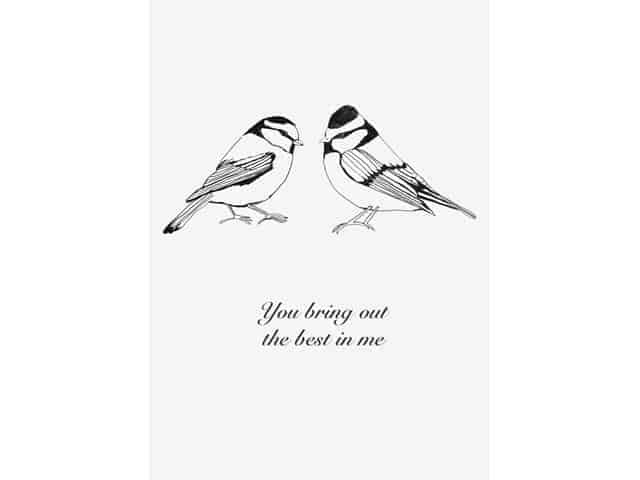 Lovely, simple drawing of two birds with the message ‘You bring out the best in me’. This optimistic message will brighten up the cloudiest of days. This would also make a wonderful gift to someone special.